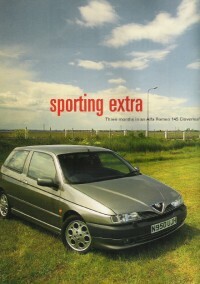 The Alfa Romeo 145 magazine article page. Living with the Alfa Romeo 145 Cloverleaf. Spanish language review of the Alfa Romeo 145 Cloverleaf.